So, I’ve decided to go ahead and split my blogs into 2. 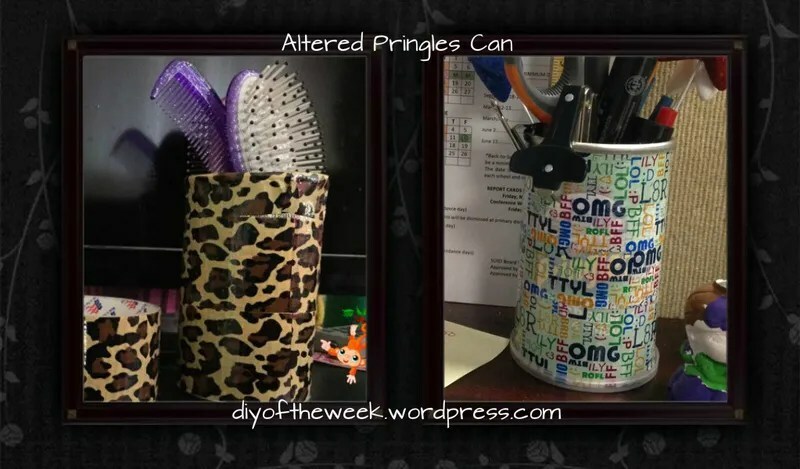 I’m moving my refashions to a new site, and keeping this site for more hands on, crafty DIYs. Please visit and follow my new blog: I am a Refashionista mom. Stay tuned though, I’ll be posting my a couple more posts for Valentines. My daughter does not like repeats of what she had already handed out, and/or made before. 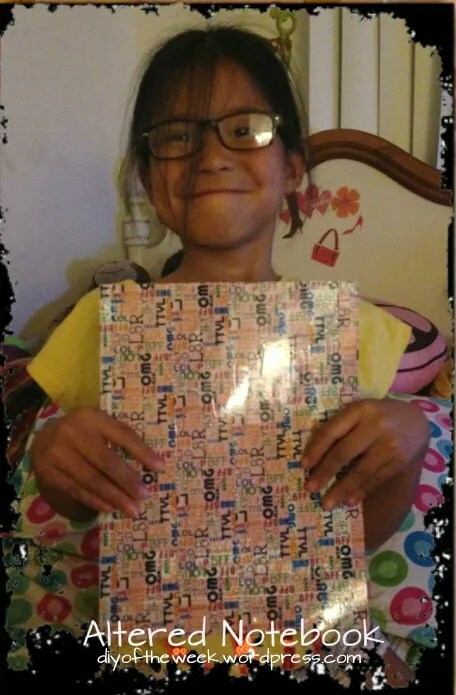 She also doesn’t want to go all out since her classmates isn’t really as appreciative because they don’t understand the thought that came with crafting. This year, she’s still handing out candy bags, but crafting a very simple bookmarks to go with her baggies. Below are the finished product. The tutorial is here. Since last Christmas, I’ve been intrigued at the mesh wreaths I would find on Pinterest and stores. I’ve always wondered if they’re costly to make. After browsing around images, I came across one that shows the base form. But, with my budget, I can’t really go buy the form premade, so I’m making them with the next best thing I can find from either Dollar Tree or the 99c store. I’m also using mesh for the 1st time. 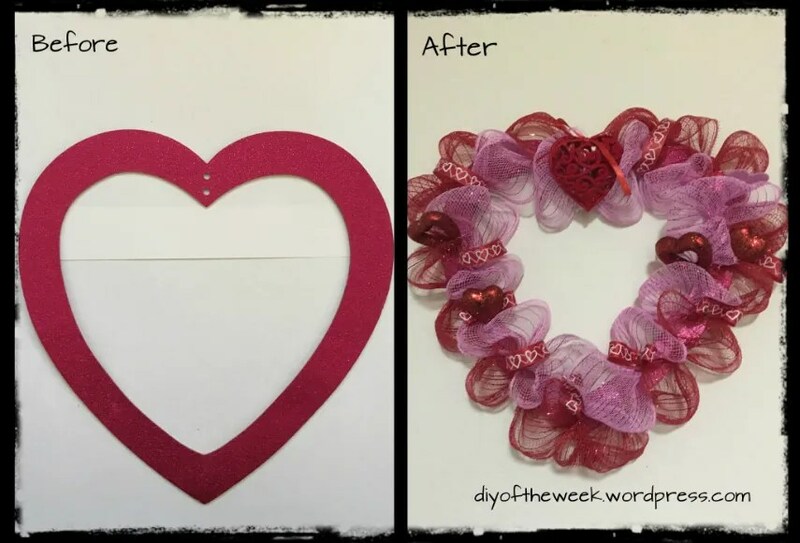 Below is now my new Valentine wreath for 2016. The picture tutorial is here. I hope you enjoy a little humor that I added to it. Please take the time to read my fundraiser to get a newer car for my family. This post will also be on my refashion blog: iamarefashionistamom.wordpress.com. The reason this post is here is because I am not using other fabric materials to make this item. My daughter told me that their 1st school assembly is on 8/17. She told me that I NEED to make her a hula skirt. When I asked why, it’s because it’s Hawaiian Day. I wasn’t prepared this year because their last Hawaiian Day was in 2013. I’ve been preparing for Pirate Day which has been the theme last couple of years. 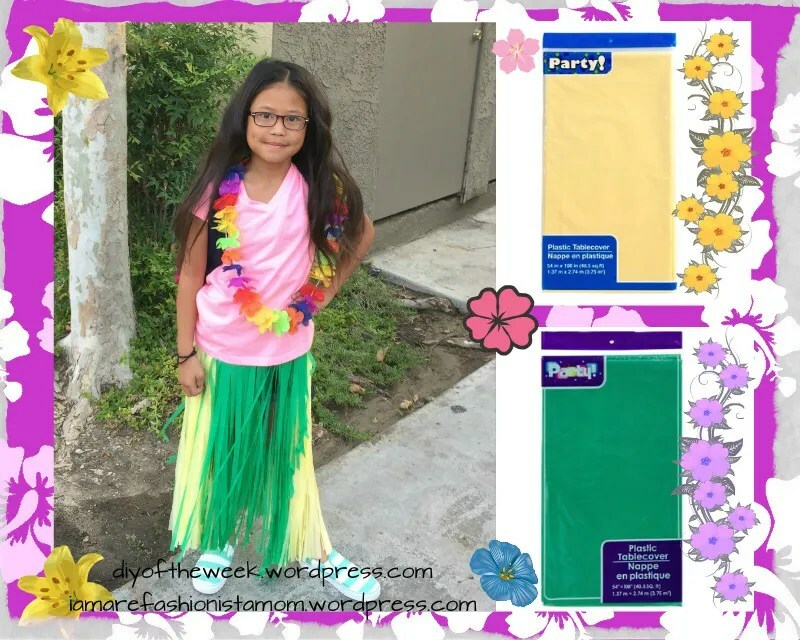 Anyway, without a car and a busy after school/work schedule, the only place I could go to was Dollar Tree – hoping to convince her to buy premade Hawaiian stuff. But, they ran out at my store. So I resorted to buying tablecloths. She chose green and yellow. I only used half of each to make one hula skirt. So, what do you think? Leave a comment below. 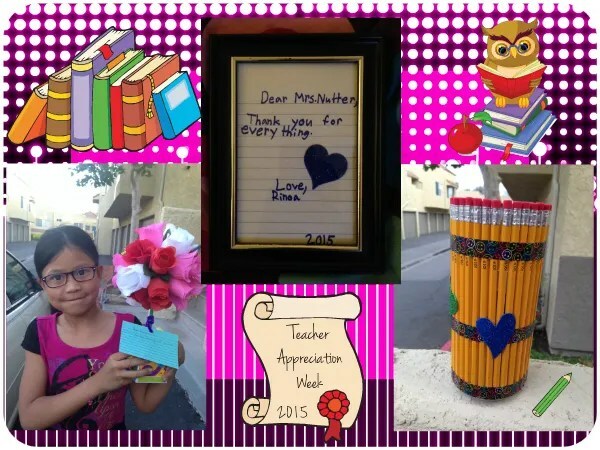 This is the final day for teacher appreciation week. Their instruction was to write a note to their teacher. I didn’t want a simple note or a greeting card. 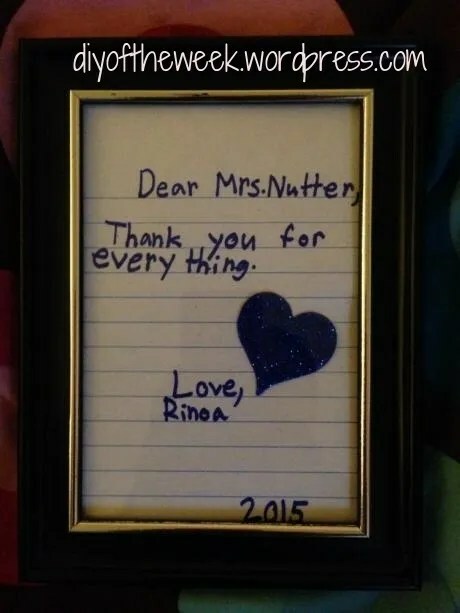 My daughter wrote her thank you note, and I just inserted it in a picture frame. The plan was to embellish the frame, but she fell asleep before I even took the frame out of the bag. I guess simplicity is beauty. Besides, there’s always next year. 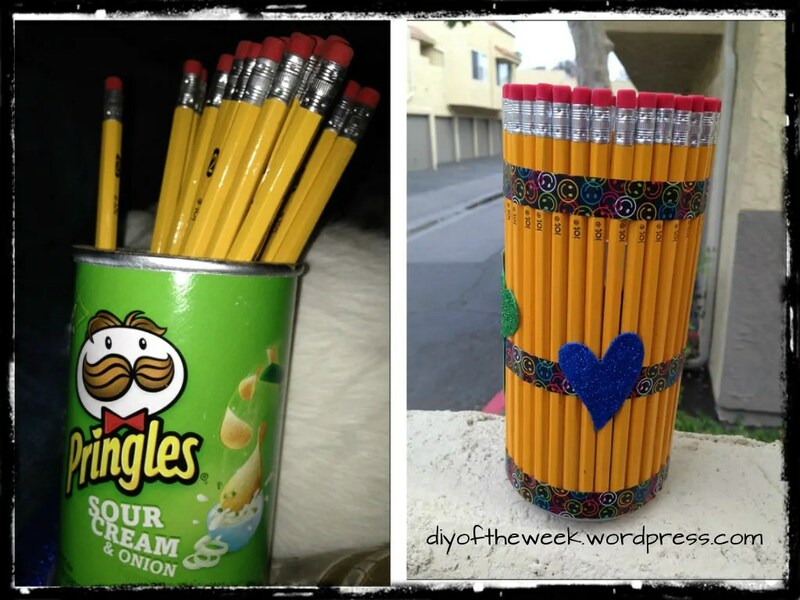 After a really long break from DIY and crafts, – my daughter encouraged me to DIY something for her for this week’s teacher appreciation week, and, I obliged. Day 1 was yesterday, I didn’t take a picture but we just made a simple “It’s All About My Teacher” poster. So – moving on to Day 2. 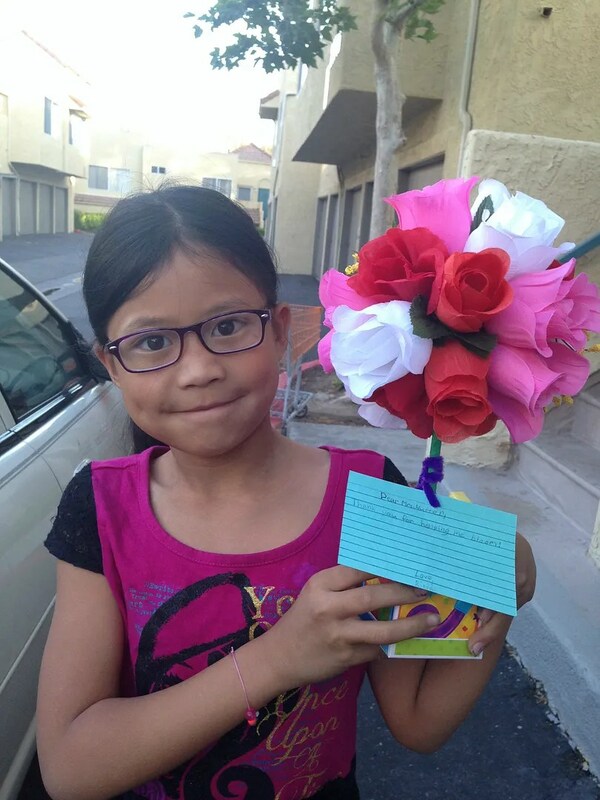 Day 2 – The students are supposed to bring their teacher flowers. Knowing me, my daughter knew that I wouldn’t just buy a bouquet of faux flowers and stick it in a vase for her to bring. She knew that I would go to 99c store and get at least 4 stems [4-6] rose buds/stem, and try to make something out of it. I have a 1 ½” styro foam ball and chopsticks on hand, plus green streamer, sand, and a box. My daughter wanted to make handmade valentines again this year, even though I was wiling to buy Ever After High valentines. We both came up with the idea of just making postcards and handing out chocolate with them. I think she wanted to make sure it’s as simple as possible since I’m still recovering from my traumatic work experience. We had index cards handy, and out of the blue, my manager handed me foam sheets. 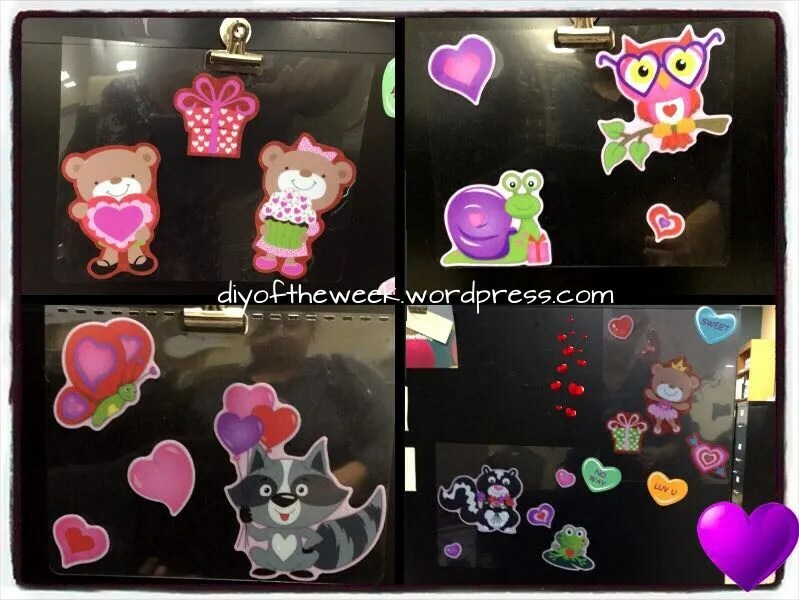 I also found a $1.00 sticker book @ Micheal’s that has stickers that can pass for stamps. I also have tons of red tulle that I didn’t get to use last Christmas. 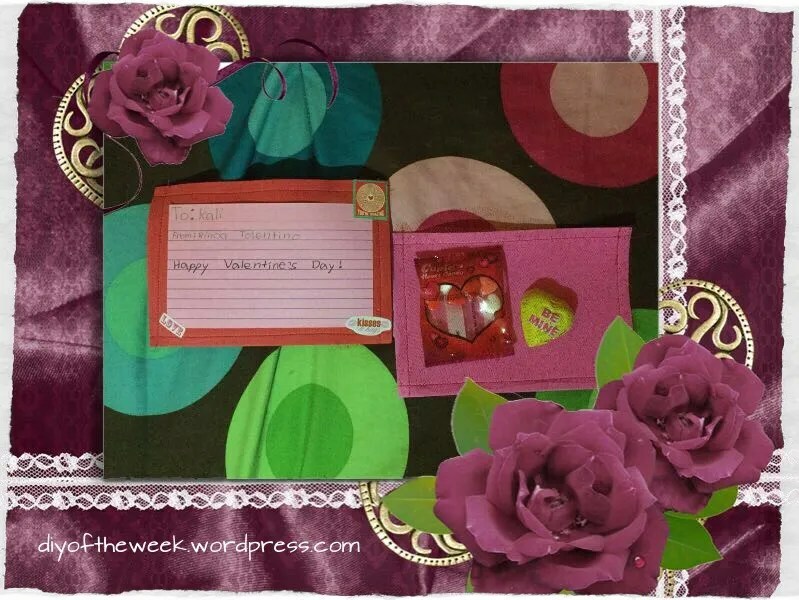 She hand wrote her message and I sewed a pouch in the back for the chocolate to go in. I sealed it so they won’t eat it at school. So far, it turned out the way she wanted it. This marks the end of our Valentine Series. My daughter wants me to start planning for a St. Patrick’s outfit since I missed my target schedule on making her Valentine outfit. So, stay tuned. Please support my fundraiser to get a safer car! For years, I’ve stayed away from buying window clings because I always thought that I won’t be able to save it when the holiday is over. Thankfully, inspiration came back and I realized that I can use window clings and save them-by using acetate sheets. Or clear covers.